You should be able to find figures models or kits, from most historical and alternative/fantasy periods here on the day, the paint to paint them, the materials to base them and the dice to roll to win with them. Back in 1995 my wife got fed up with me hanging around the house and suggested I go and join a local wargames club. 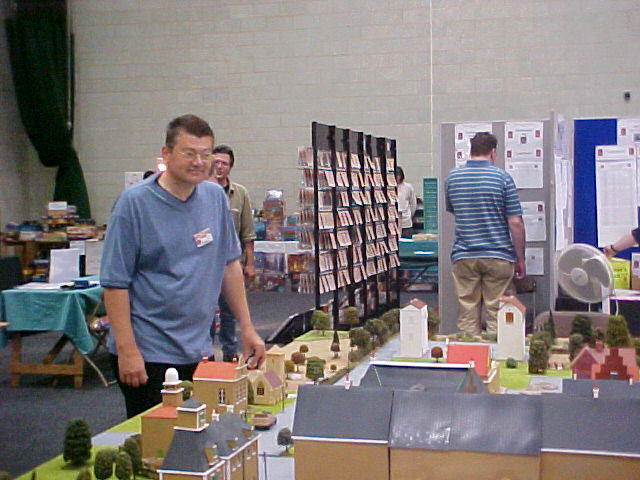 I had been to the local show in Edgbaston organised by Duncan MacFarlane from Wargames Illustrated, and had talked to members of the Selly Oak and District Society (SODS) about where they met etc. As my wife thinks as I am a miserable old SOD it seemed appropriate to become one. When the local show ceased I stepped into the gap, I did not want my home town to lose an event, I see my show as being both a good time to be had for regular wargamers and a chance for new people to discover the hobby. Most of the local clubs come along and put demonstration and participation games of a high standard and the presence of the traders gives you a chance to see (and maybe buy) whats out there.